Jean Ann has been Software Testing and Quality Assurance field for almost 2 decades including 10 years as a mobile software tester. She is a globally recognized a mobile testing software specialist, mentor, trainer, writer, and public speaker. 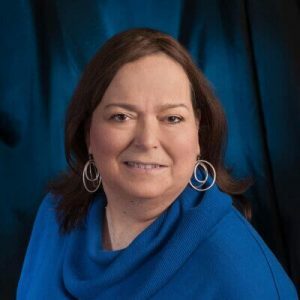 Jean Ann’s software testing experience covers various industry domains to include medical diagnostic tools, surgical tools, healthcare facilities and insurance, law enforcement, publishing, and the film industry. Testing environments include multi-tiered applications in a strict Waterfall software development life cycle to a medical device regulated environment in a hybrid of Iterative and Agile software development life cycles. Testing includes client/server applications, websites, databases, and mainframe records. Mobile apps testing on a proprietary device for police use, medical device diagnostic use, and surgical use. Non-proprietary device apps include financial use, business use, and games. Jean Ann is a consistent speaker at various software testing conferences. She actively mentors, conducts training and workshop sessions, publishes webinars, participates in podcasts, reviews and contributes to several books. Jean Ann is a graduate of St. Anselm College with a Bachelor of Arts degree in Political Science. Go beyond testing your mobile applications from a functional or GUI focus to approach your mobile testing from a systems perspective. This session will take attendees on a journey of system thinking to incorporate larger test coverage while exposing areas needing to have stronger design. The focus will be applying this approach for developing tests specifically for mobile application development. Attendees will join Jean Ann in creating a mind map in how to test the LinkedIn app to help generate test conditions to include boundary tests, stressing those boundaries, testing the performance to include timing and load. The mind map will also help the tester to explore the path coverage and decision making of the application. As we build this mind map, attendees are encouraged to continue to add to the mind map as practice to strengthen their systems thinking approach.